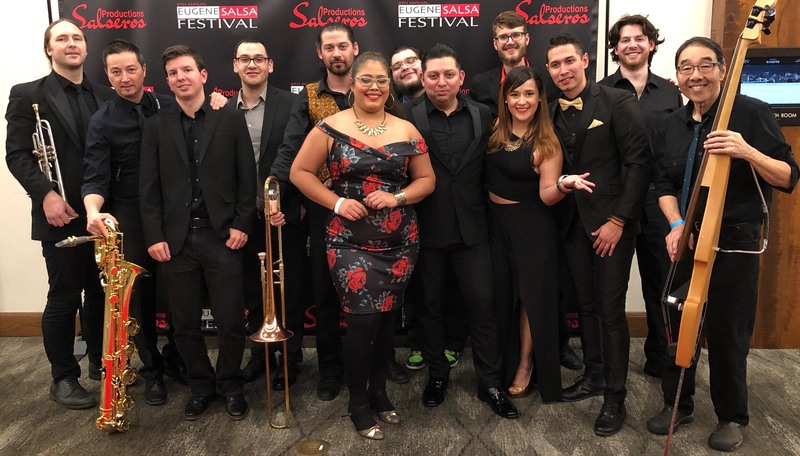 Join us for a special event with Live Salsa Music by Orquesta Descarga 54, Salseros Productions 12 piece Salsa band From Eugene! Salsa Class for Beginners taught by Salseros Dance Company Instructors will begin at 9pm. The band will start at 10pm. All Ages are welcome! $13 cover. dance party, Live Music, Salsa Class, Salsa Dance!